360k- upgrade to brehme or toty silva. Have 360k to upgrade. Thinking either adding brehme instead of sandro or upgrading thiago to his toty. 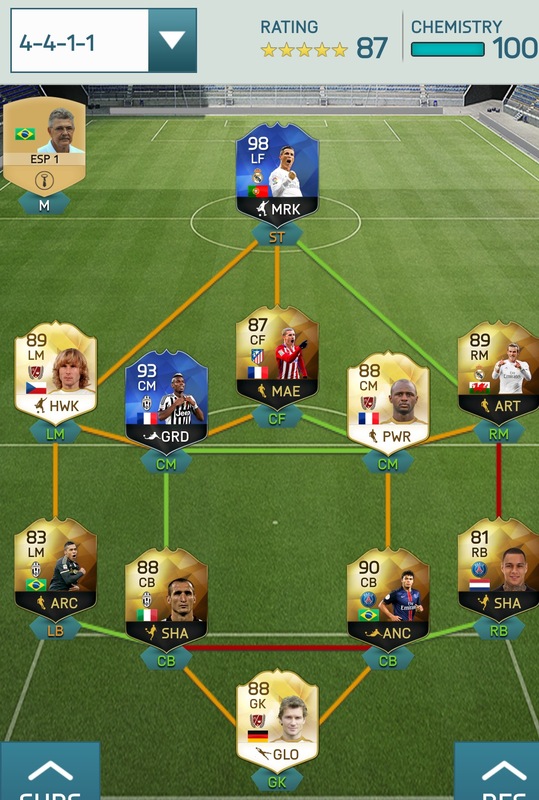 I'd get TOTY Silva if you are set on those 2 upgrades. If 90 Silva is doing a good job you may as well improve other areas of the team. Cheers! NIF chiellini has been my fav defender this year, but i cant see his IF being worth 250k+ for like 36 stat upgrades. Yeah that is very true admittedly. Didn't realise it was such a small upgrade for 200k+ extra. Not great value for coins. Brehme is a great card, but Alex Sandro is also excellent for a fraction of the cost. If you are happy with 90 Silva maybe stick with him? Hows the back line in general for you? 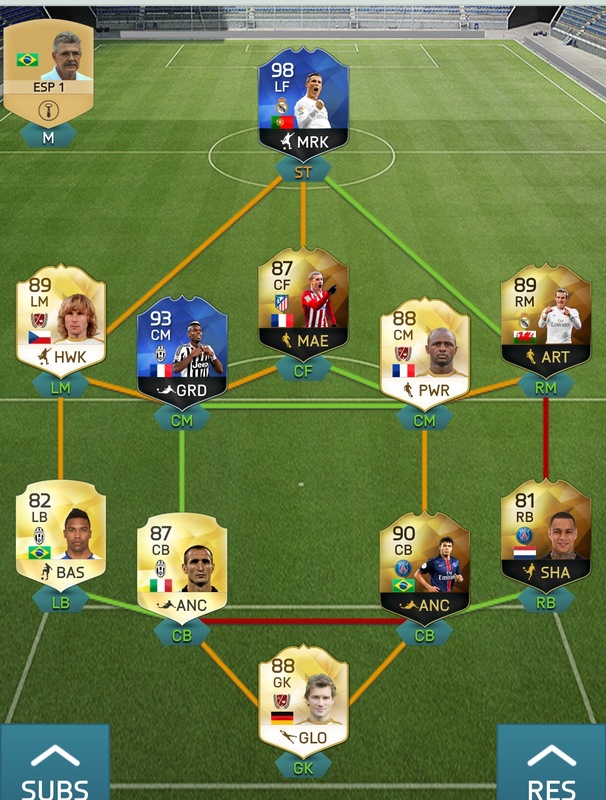 Could you get both IF Sandro and TOTY? Cant fault it tbh, biggest issue i had was with matthaus and his dribbling. Traded him in for pogs and now have the extra 360k. if you get online in the next hour or so pm me il give you a game seasons is stressing me out might steal the back line but with the legend GK. Do you like TOTY Pogba out of interest? Havent gotten to use him yet. Had him once before and he was bad. But i think it was a bad stretch of connections as others played crappy too. I didn't really like him at TOTY, he was 1.6m then though. 900k now, means I will judge him a bit less harshly I think. Him and Vieira on paper should be a brilliant partnership though. Agreed, i wont have as high of expectations. Don't upgrade Chiellini 187k more for 35 stats? already did, i thought about it a lot first tho.. and i was okay with it as +2 def and +3 phys. Plus he is my favorite defender and every year I have his IF. I still have 85K leftover to build upon. Next up will be silva --> toty. If aurier ov van der wiel and yah, toty thiago silva.